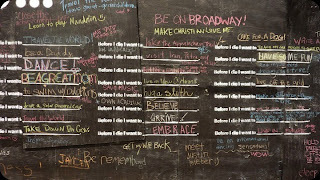 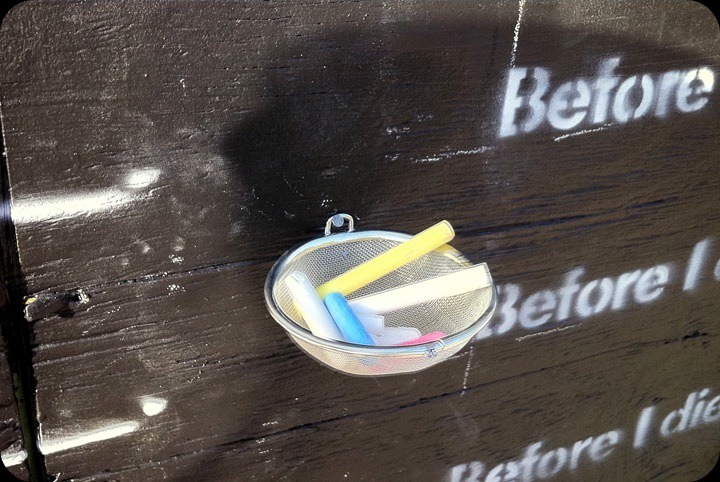 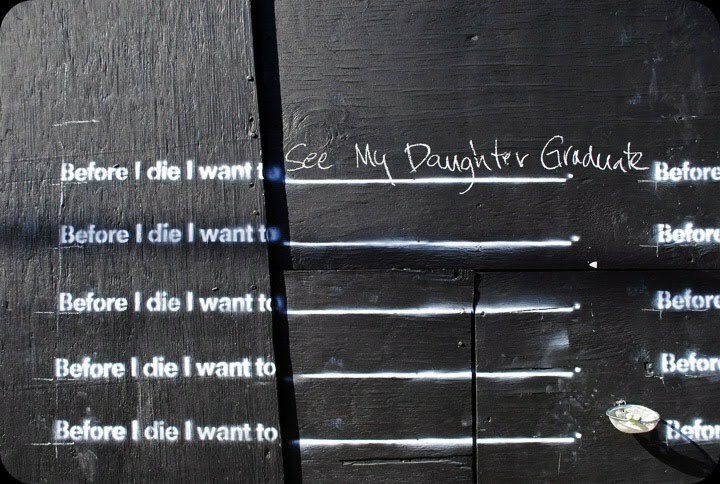 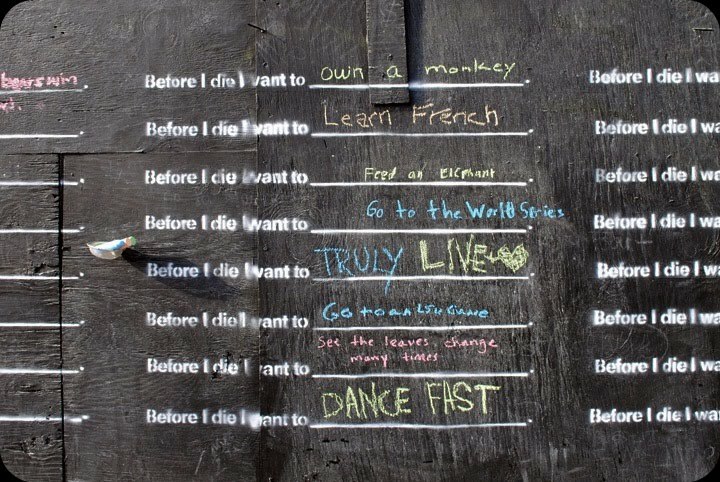 Picture a giant chalkboard where residents can write on the wall and remember what is important to them in life. 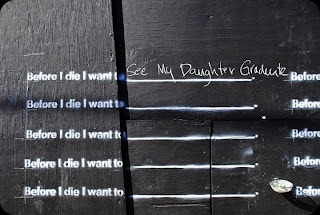 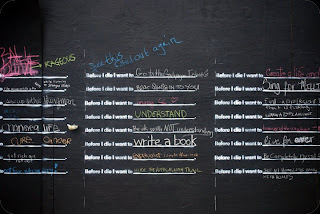 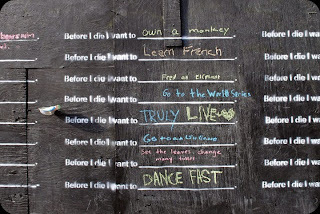 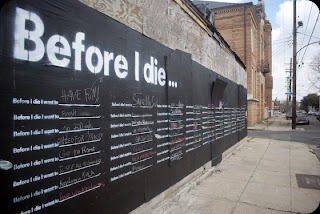 Candy Chang gives us 'Before I Die'. This project transforms neglected spaces into constructive ones where we can learn the hopes and aspirations of the people around us. 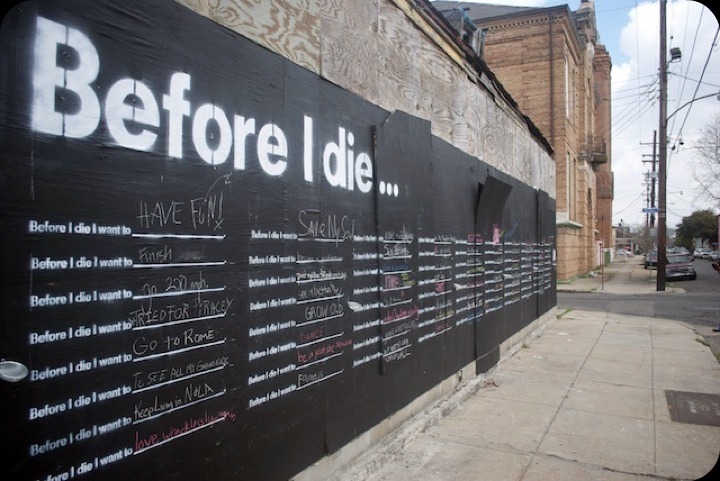 Candy Chang is a public installation artist, designer, urban planner, and co-founder of Civic Center who likes to make cities more comfortable for people. 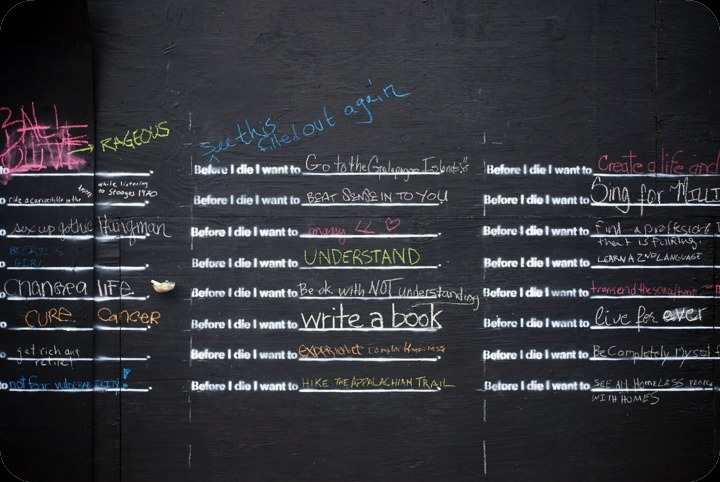 She's cool like that. 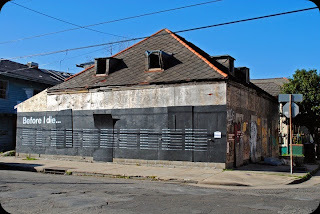 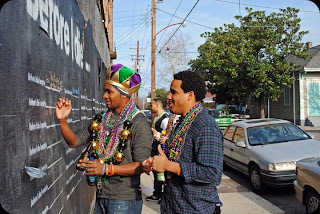 If you’re in New Orleans, stop by the corner of Marigny and Burgundy (900 Marigny Street) to add your thoughts to the wall and see what matters most to your neighbors.